Back for its 5th year, the Glencoe Open Water Swim is firmly established on the annual events calendar. 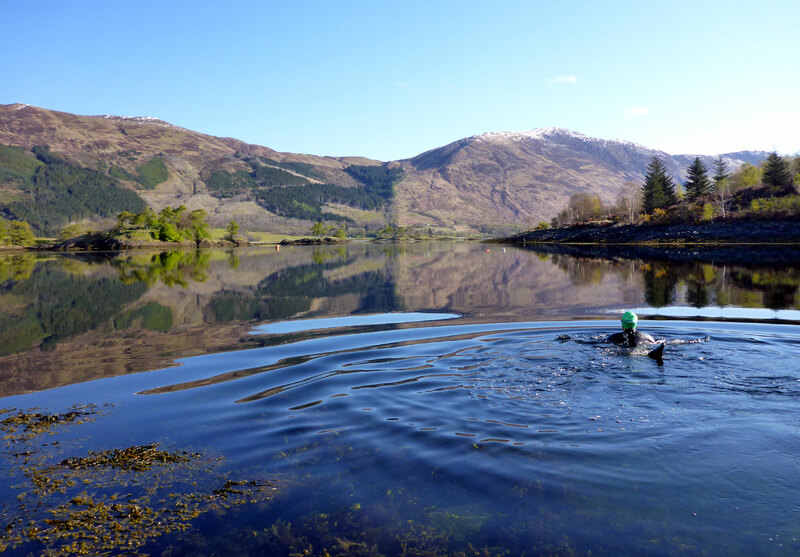 Whether an experienced open water swimmer or looking to take that first ‘dook‘ in the great outdoors, the Glencoe Open Water Swim promises to be a great event that will appeal to all. Based on the shores of Loch Leven set against the mountain back drop of the Glencoe hills, it’s hard to imagine a more stunning location. Add to that the refreshing clear waters of a sea loch and the historic islands in the loch and you have the perfect spot for a dip! While the 3km and 5km distances are obviously aimed at the more experienced swimmer, The Leven Dip offers a chance to enter the water in a safe and controlled manner, and give it a go, quite possibly for the first time. With a small circuit, close to the shore, the aim is to swim as many, or as few, laps as you like. Clachaig Inn is proud to sponsor the event once again. Whilst it’s great to be able to support a local event that promotes fitness in the fresh air, the real reason for our support is to encourage those who aren’t quite sure about the sanity of open water swimming to give it a go. Great things come from small beginnings. Quite often it’s the lack of opportunity that prevents that first step, so here’s the opportunity! And we know. Once we (that should probably be “I”) tried it, we were hooked. There’s something invigorating, something good for the soul, about a dip in the sea. It makes you feel alive! Go on, give it a go! Visit the Glencoe Open Water Swim web site for more information and entry details.